In 1960, the FDA approved the oral contraceptive that would come to be known as "the pill." Within a few years, millions of women were using it. At a time when the population was surging, many believed that the drug would help eradicate poverty around the globe, ensure happy and stable marriages, and liberate women. America and the Pill reveals the ways in which the pill did and did not fulfill these utopian dreams, while also chronicling the stories of the creators, testers, and users who ultimately made the pill their own. 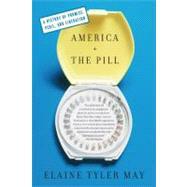 Elaine Tyler May is Regents Professor in the Departments of American Studies and History at the University of Minnesota: Author of Homeward Bound and many other hooks on aspects of American social history, she lives in Minneapolis.